Realme 3 - the much-awaited next smartphone in the Oppo spinoff's lineup - has finally been launched in India, at an event in New Delhi on Monday. 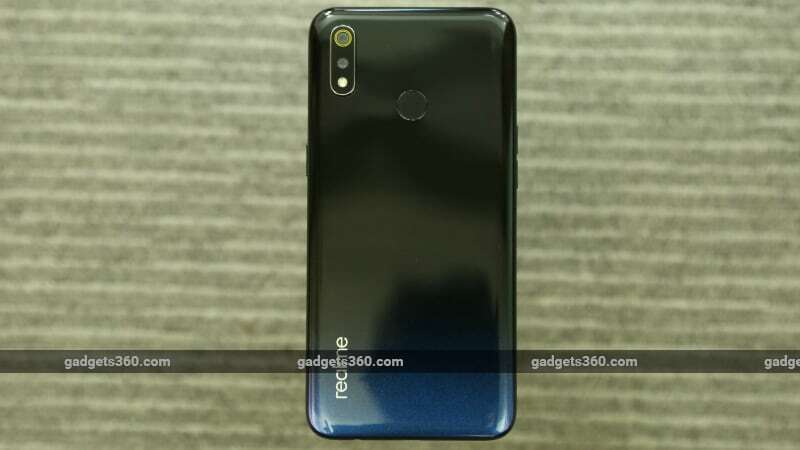 The Realme 3 bears an upgraded front camera and design when compared to its predecessor Realme 2. Other highlights of the Realme 3 include a 3D gradient unibody design, dual rear camera setup, and a rear fingerprint sensor. The phone also sports a waterdrop-style notch and is powered by a MediaTek Helio P70 SoC with a 4,230mAh battery. Additionally, the Realme 3 runs on Android 9 Pie-based Color OS 6. The Realme 3 has been made available in two RAM + storage options in India, and will be sold via Flipkart and the Realme India site. Coming to specifications, the dual-SIM (Nano + Nano) phone runs on the latest Color OS 6.0 based on Android Pie. The phone features a 6.2-inch HD+ (720x1520 pixels) display with Corning Gorilla Glass protection, 88.3 percent screen-to-body-ratio, 450 nits peak brightness, and 19:9 aspect ratio. The phone is powered by the 2.1GHz octa-core MediaTek Helio P70 SoC paired with 3GB RAM and 4GB RAM options. The Realme 3 packs a dual rear camera setup aligned vertically - with one 13-megapixel rear sensor with an f/1.8 aperture, apart from the 2-megapixel secondary sensor. Features include PDAF, Nightscape mode, Hybrid HDR, Chroma Boost, Portrait Mode, scene recognition, and more. Up front, there is another 13-megapixel sensor with an f/2.0 aperture and 1.12-micron pixels, apart from features like AI Beautification, HDR, and AI Face Unlock. The Realme 3 measures at 156.1x75.6x8.3mm, and it weighs at 175 grams. It is powered by a 4,230mAh battery, coupled with a 10W charger. A Riding Mode feature has also been added, as well as Match Cards on AI Board, and Camera2 API support. The company will also be shipping the Realme 3 with an unlocked bootloader.